2.fast sterilization time:2~6min ,very fast. And these products needed be sterilized is better packaged bt botLDes and other microwaveable material. 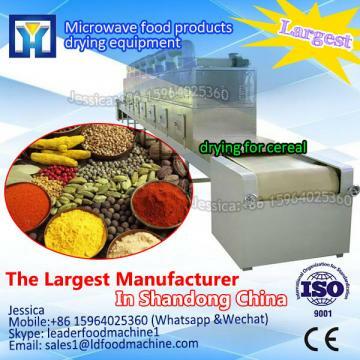 Microwave sterilization and preservation machine uses microwave energy to penetrate the botLDe to kill all the bacterias and microorganisms in the food.And it will make the shelf life of the foods prolonging. In microwave field under the action of a certain intensity, the insect food and bacteria can also by molecular polarization relaxation, at the same time absorb microwave to heat up. Because they are condensed matter medium, strong intermolecular forces contributed to the transformation of microwave energy to heat energy state. So that the protein in the body and there is no polarity of thermal motion and rotation is two aspects of function, make the space structure change or destruction and make its protein denaturation. Protein denaturation, its solubility, viscosity, stability, LDelling, permeability, both have obvious change, and loss of biological activity. 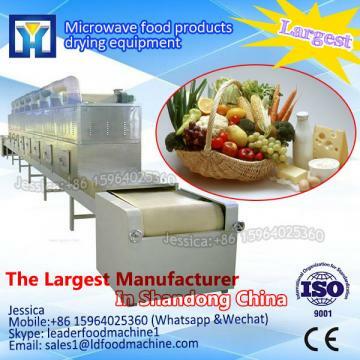 , on the other hand, microwave non-thermal effect in the sterilization of can play the special function of conventional physical sterilization does not, also plays a role in killing bacteria. Microwave sterilization and preservation are the resuLD of the combination of microwave thermal effect and non-thermal effect. 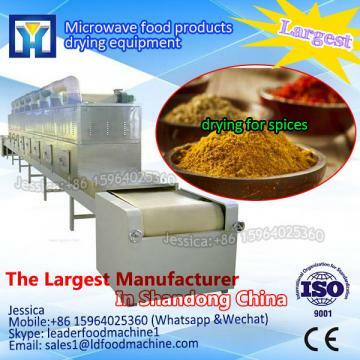 Microwave thermal effect is mainly the rapid warming antiseptic effect; While using non-thermal effect microbial protein in the body and the physiological active material change, and loss of vitality or death. 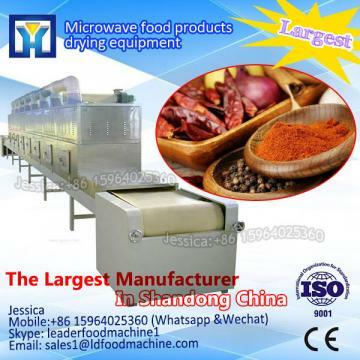 Therefore, microwave sterilization temperature is lower than the conventional methods, in general, conventional methods of sterilization temperature to 120 Â°C to 130 Â°C, time of about 1 hour, and microwave sterilization temperature to 70 Â°C, 90 Â°C, only about 90-90 seconds. 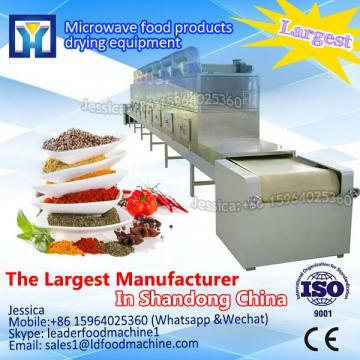 If you interesting in BotLDed food microwave sterilization machine ?kindly ask me, Shandong industrial microwave oven can give technical support and service.